I’ve been taking new pictures for the challenge, but alas, WoW is down for maintenance today (booo timezones for eating up my entire Tuesday’s worth of play time). Instead I went through my screenshots folder and found this! 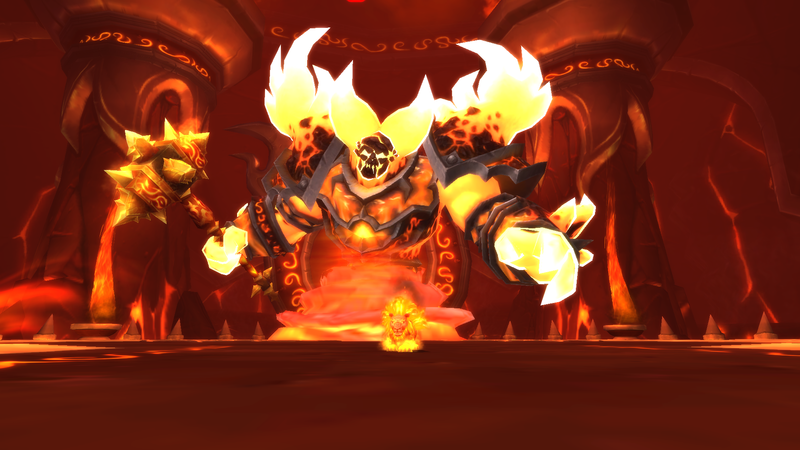 All of us usually run Firelands every week for the legendary and for transmog gear, so it wasn’t hard to get the Burning Seeds when we first heard about them. 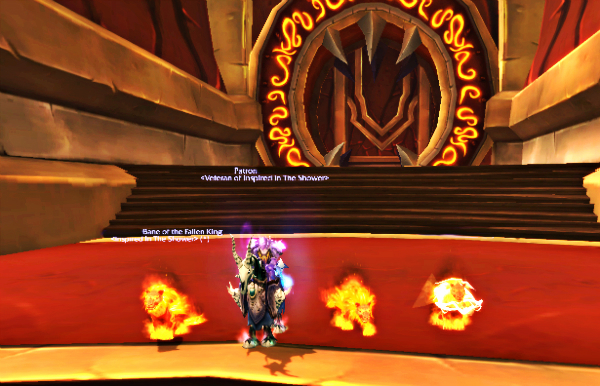 Two of us are actual druids, one is a Potion of Illusion addict, and the paladin is Pallytank once again insisting on showing off his purple ranger-ness instead of getting with the fire kitty show. But seriously, there are few things more awesome than this look. I LOVE IT SO. In typical me fashion, I managed to epically fudge up the one screenshot I’d been waiting to take all week. The same thing happened when I got first my druid, then my rogue to 90. Oh well, max level is max level! Now to figure out why my heals are so friggin’ underpowered. LFD heroics are giving me a real heart attack. Also to celebrate getting Terrific Trio in record time (not really), I joined a Heroic Firelands achievement run, in which I also managed to score possibly the best feral druid weapon to ever exist.